Essential oils have a long history of use in a range of applications. They’re popular for aromatherapy and some have therapeutic uses as well. Most essential oils are also safe to use with a low risk of adverse side effects but always do your research on the plant and its oil first. Science is now taking an interest in these oils with modern research validating many of the anecdotal and historic health claims. Currently there are some 700 different essential oil containing aromatic plants. Some of the most popular include lavender, tea tree, rosemary, peppermint, frankincense, ylang-ylang, bitter orange (bergamot), eucalyptus, lemon, oregano, clove, and lemongrass. There are many others but these are the ones that make most ‘top 10’ lists of essential oils. There are several methods used to produce essential oils but the most ‘organic’ in terms of chemical contamination is distillation, although this method is not suited to all types of oils. Distillation involves boiling the harvested plant material in water and catching the oil containing steam. The steam is then cooled down to return it to liquid and run off into an essencier to separate out the oil from the rest of the liquid. You can buy stills (they’re expensive though) but they are also easy enough to make yourself. Wikihow provides a good set of instructions on how to make your own essential oil, including making your own still. 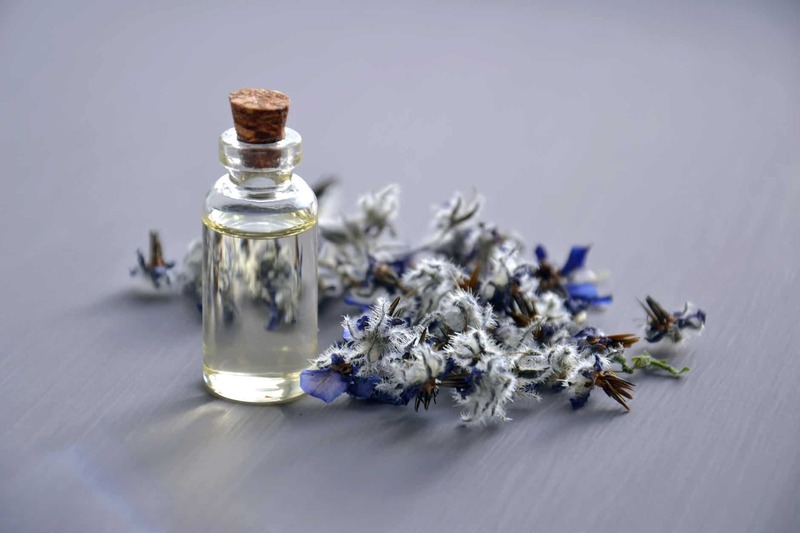 Some essential oils are excellent for your hair and scalp, which is something you may not know too much about unless you’re right ‘into’ alternative and homeopathic ‘stuff’. Following are some of the best essential oils for improving hair and scalp health. Lavender oil is well known for its stress relieving properties but it has a range of other beneficial effects as well. Many people sprinkle a few drops of it onto their pillow for a relaxing night’s sleep. Lavender oil is also proven to assist with wound healing by improving collagen synthesis and fibroblasts differentiation, particularly in the early granulation stages of healing. It can also up-regulate Transforming Growth Factor beta (TGF- β). To investigate lavender oil’s ability to speed up hair growth, researchers in Korea conducted an experiment on mice. The research found that the mice treated with lavender oil experienced almost similar hair regrowth to those treated with a 3% solution of minoxidil. There is also evidence to suggest that lavender oil is effective against some types of microbes and bacteria, which may make it useful for improving scalp health. To use essential lavender oil for hair regrowth mix several drops of the oil with 3 tablespoons of carrier oil – melted coconut oil or olive oil are ideal. Apply the mix directly to the scalp and let it sit for around 10 minutes before shampooing your hair as normal. This can safely be done several times a week. This oil contains linalyl acetate, one of the compounds that gives lavender oil its hair growing properties. Clary sage oil has also been shown to strengthen hairs as well, thus reducing problems like breakage. The oil can be used daily; just mix it with a tablespoon of carrier oil or add 3 drops to your conditioner and apply. If you are using it daily, only leave it in for a couple of minutes before rinsing. Otherwise, for once or twice a week applications it’s safe to leave in for up to 10 minutes. Peppermint oil is another very versatile essential oil with a range of uses both anecdotal and proven. Its distinctive aroma makes it an attractive aromatic but the oil also been used successfully to treat everything from seasonal allergies to muscle aches and pains, as well as digestive issues. 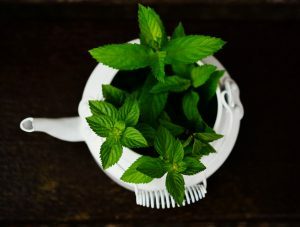 Research has also shown that topically applied peppermint oil may promote improved hair growth, deepen follicles, and increase follicle numbers. To use peppermint oil as a hair treatment add 2 drops of the oil to a carrier oil and massage into the scalp. Allow to soak for 5 minutes before shampooing and conditioning your hair. Rosemary oil has been used for many things over the centuries, but recent studies like this one indicate it can be as effective as minoxidil for promoting hair growth. Unlike minoxidil though rosemary oil doesn’t come with the same itchy scalp as a side effect! A couple of drops of rosemary oil mixed with coconut or olive oil and massaged into your scalp twice a week is the recommended way to apply rosemary oil. Leave it in for around 10 minutes before washing your hair with shampoo. It may leave you smelling like a bit like chicken stuffing but your hair will thank you! Dandruff is the bane of many of us. Those tell tale white flakes scattered across our shoulders like tinsel dust are not just a nuisance; they can also be embarrassing. If this sounds like you, give lemongrass oil a try. 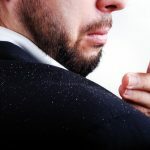 A study done in 2015 validated its effectiveness as a treatment for dandruff, with study subjects experiencing significant dandruff reduction after just one week. However, you’ll probably need to use this essential oil daily to obtain maximum dandruff removing benefits. A few drops added to your shampoo or conditioner and voila, you have an effective and natural anti-dandruff shampoo or conditioner. Be sure to massage it well into your scalp though before rinsing. This essential oil is popular for its reputed antifungal and antibacterial properties, and is used to treat scalp conditions that cause dandruff and hair loss. A study that used a combination of lavender, rosemary, and cedarwood found that it did reduce hair loss caused by alopecia areata. To use cedarwood essential oil mix a few drops in 2 tablespoons of your favourite carrier oil and massage into the scalp. Leave it for 10 minutes before washing your hair with shampoo. Along with cedarwood oil, thyme oil is proven beneficial for treating conditions like alopecia areata. It is however a fairly strong oil so only requires a couple of drops in around 2 tablespoons of carrier oil. Apply to the scalp and leave it in for 10 minutes before shampooing your hair. Tea tree oil is another one of those oils most of us like to have on hand. Its antibacterial, antimicrobial, and cleansing properties are well documented, and well established. Tea tree oil is also found in many over the counter commercial hair growth shampoos. A study done in 2013 that combined minoxidil and tea tree oil found that the combined power of these 2 substances was more effective than minoxidil on its on for promoting hair growth! Tea tree oil can be mixed into your shampoo or conditioner (add 10 drops) for daily use. Alternatively, add 3 drops to 2 tablespoons of carrier oil, apply and leave for 15 minutes before rinsing off. 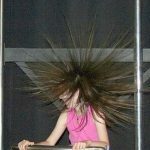 Children and young teenagers should never use essential oils on their hair unless under specific medical advice to do so. Whilst side effects from using essential oils are rare, they can happen. The most common are allergic reactions and skin irritation. That’s why essential oils are always diluted in carrier oils if they’re going to be applied directly to the skin. Always test the oil on a small patch of skin before using it and don’t continue if you experience any adverse reactions. Skin irritation symptoms to watch out for include redness, burning, itching, discomfort, painful tingling, and contact dermatitis. Allergic reactions may affect your breathing, cause your tongue to swell, constrict your throat, cause blistering and rashes, or severe dermatitis. If you experience any of these skin irritation or allergic reaction symptoms, stop using the oil straight away. If the symptoms persist, seek medical attention.